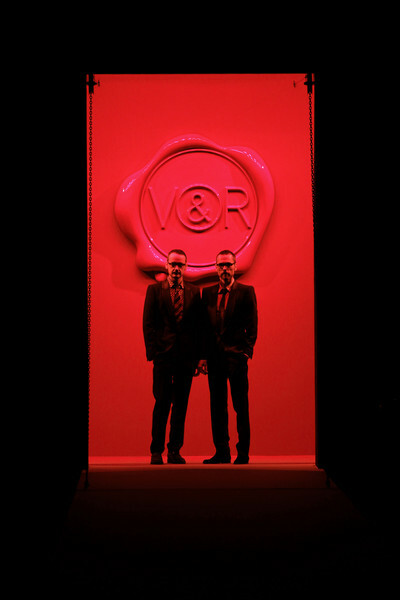 Viktor & Rolf are ready for a battle. 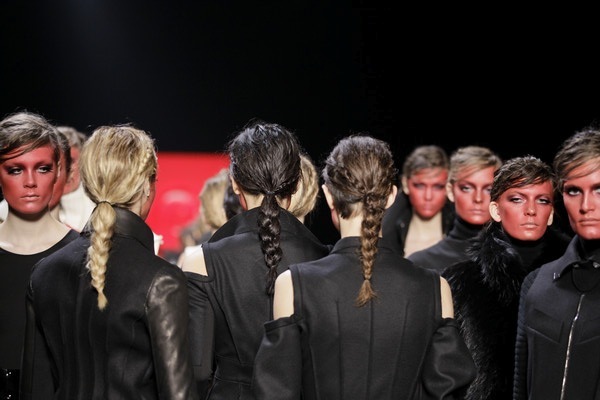 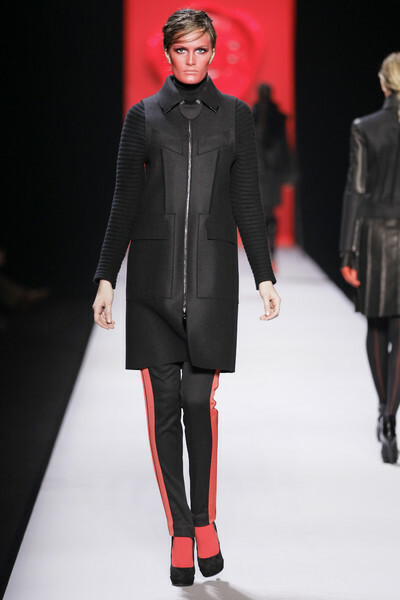 A battle against the loss of beauty with an army of red-faces models dressed in proper ammunition: ultra-stiff tailoring. 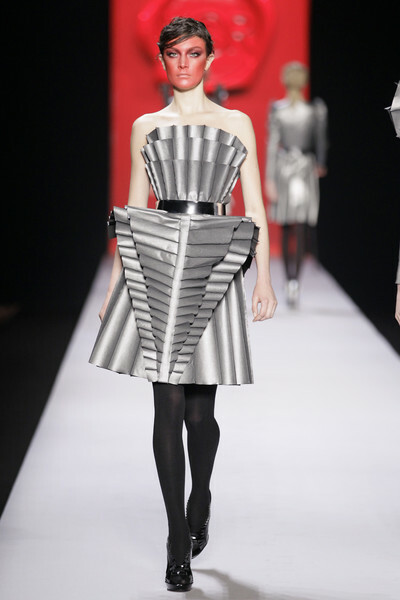 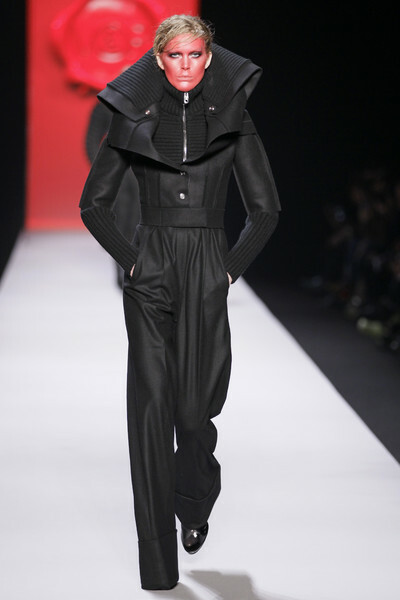 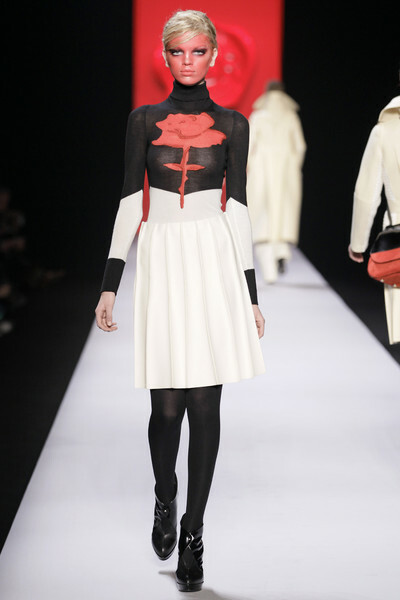 With the show designers Viktor Horsting and Rolf Snoeren wanted to express their passion for fashion. 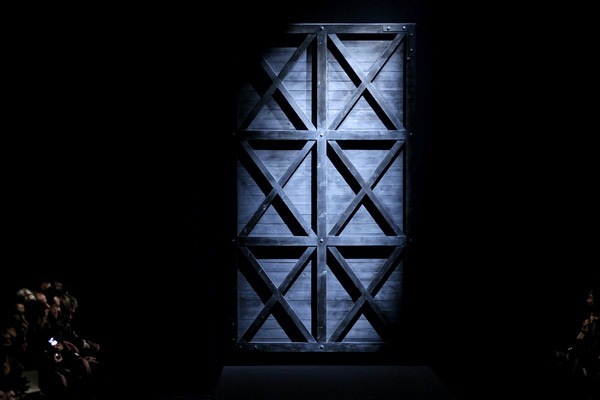 The show opened literally with an medieval looking drawbridge that revealed the entrance of the V&R-fort. 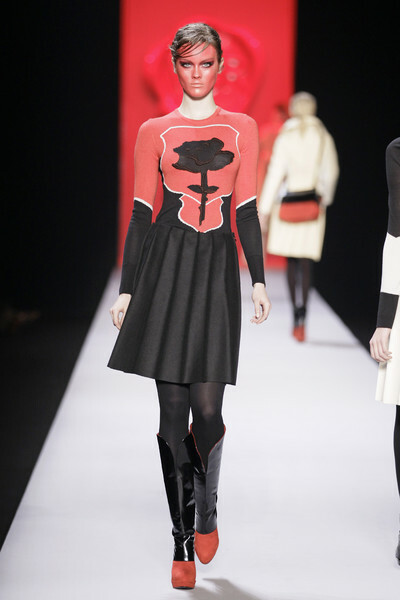 Out came the model with their faces painted red acting strong and angry. 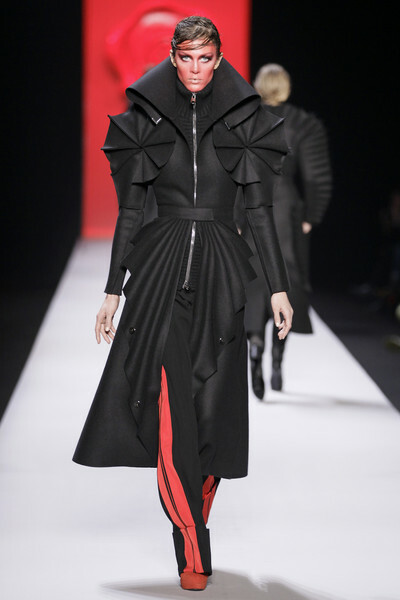 They were dressed in tough looking, long coats with bladelike pleats around collars and shoulders like giant pinwheels. 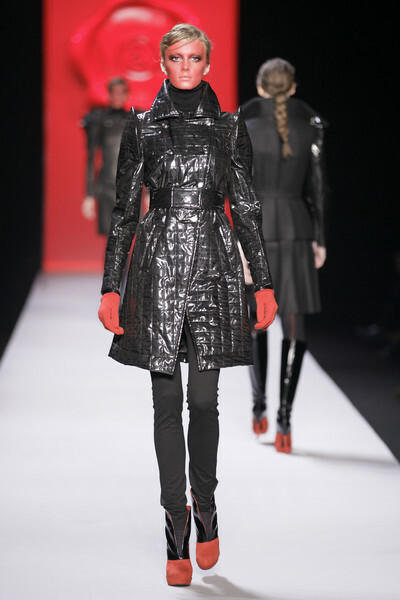 The collection took inspiration from knights or crusaders, looking at the stiff leather skirts, the red, black and mat silver and the red roses printed at dresses like it was part of a weapon-shield. 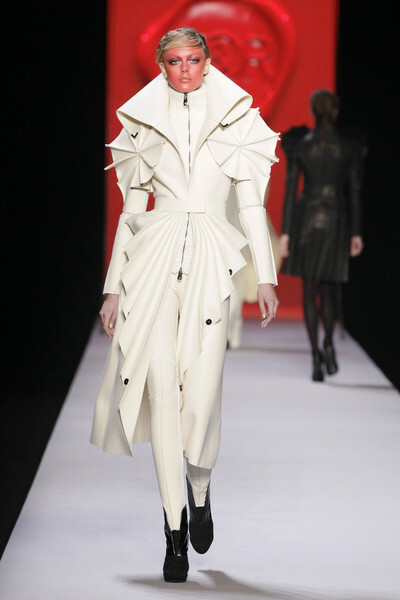 The softly draped dresses also reminded of medieval times. 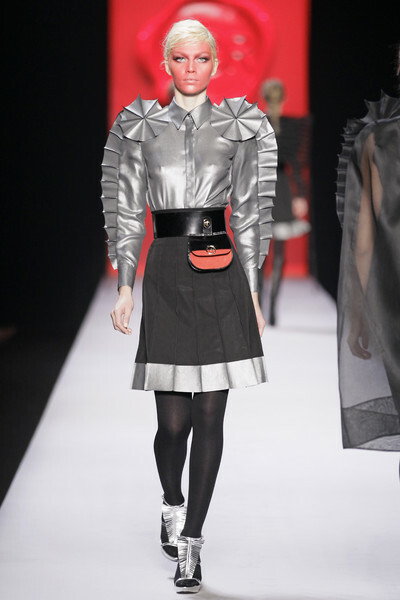 The second part of the show dresses softened a little bit when fabrics became more fluid and ruffles entered.